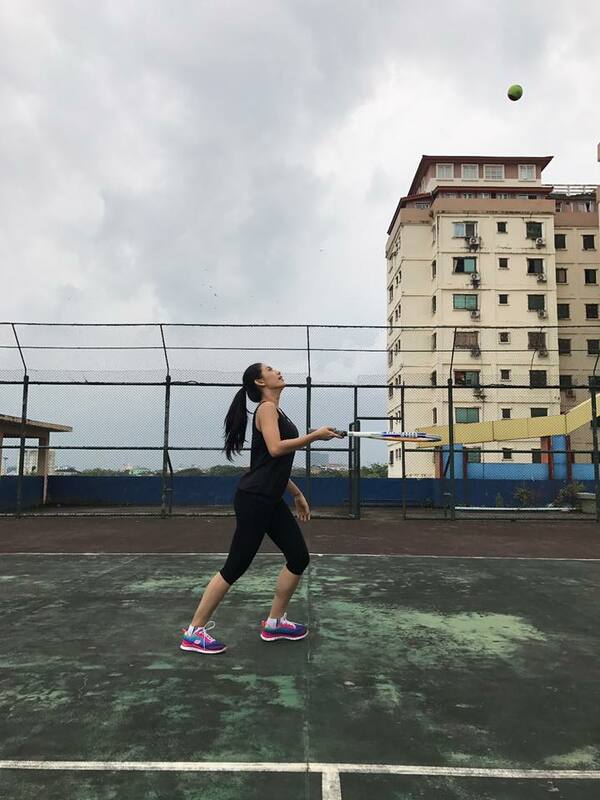 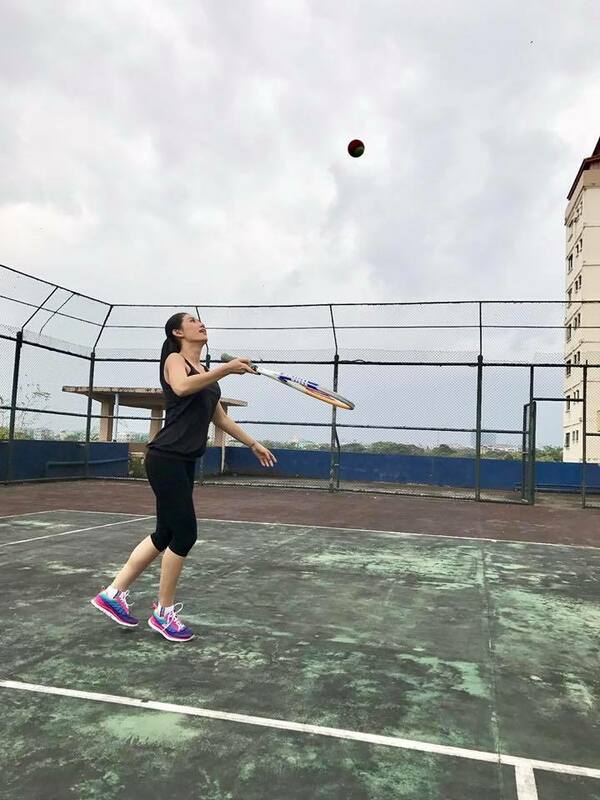 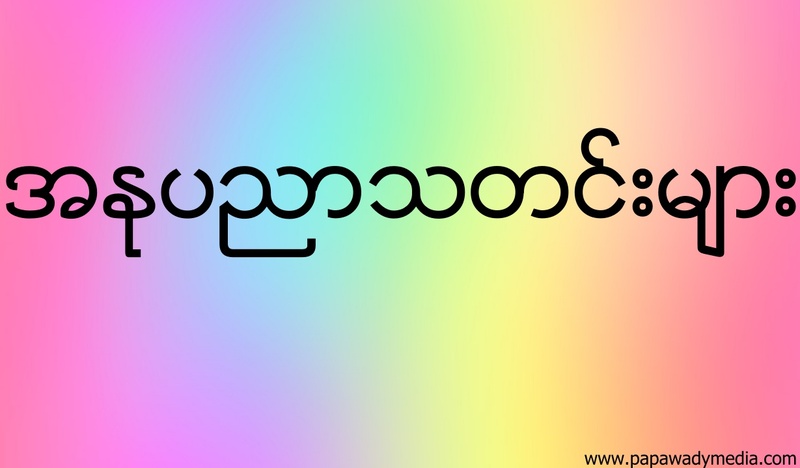 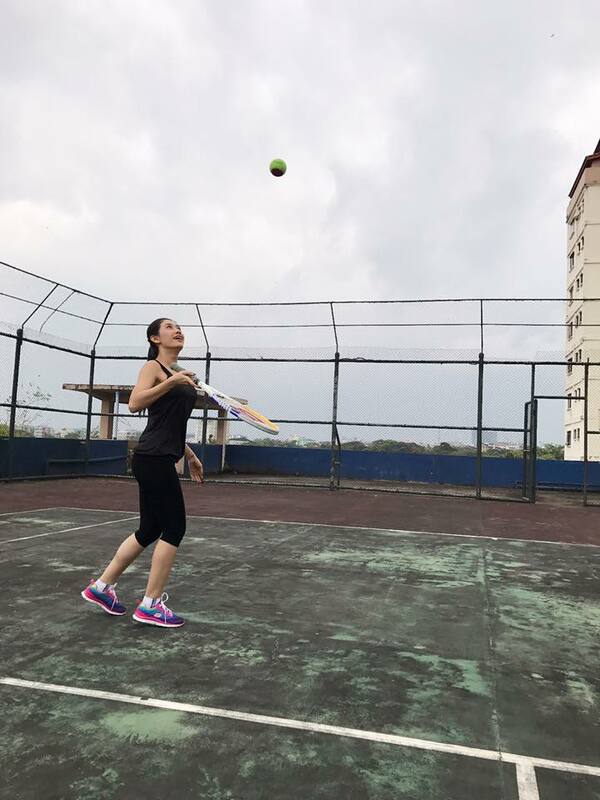 Thinzar Wint Kyaw is sharing her fun pictures from today exercise playing tennis for fun. 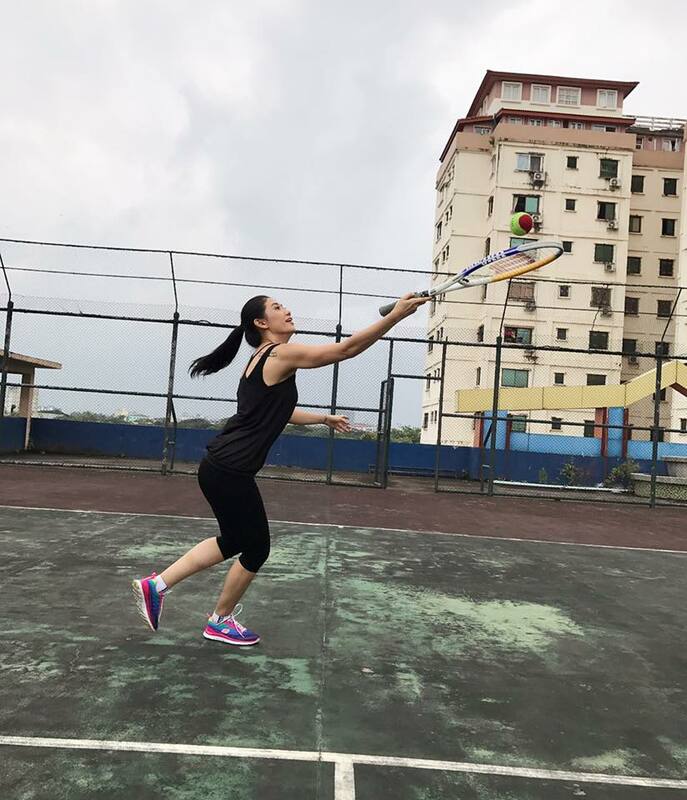 She is wearing all black fashion and playing tennis and saying chasing as photo caption. 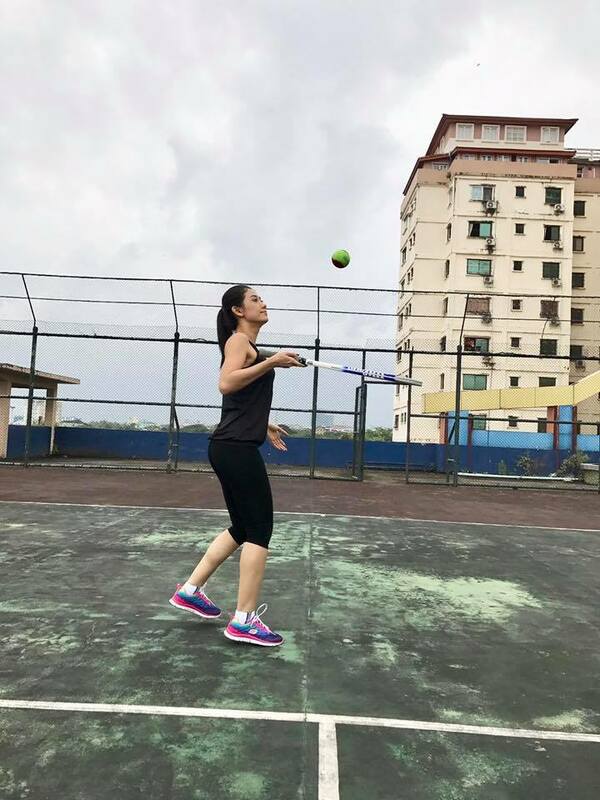 She looks fit and happy in this album.